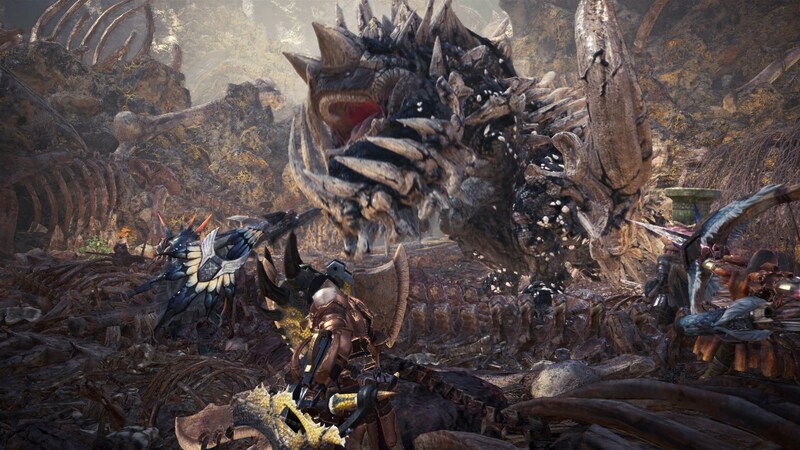 The recent PC release of Monster Hunter World helped push the game over the 10 million units mark. Hours after release, Monster Hunter World on PC quickly became Steam’s biggest launch in 2018, and continued to break its own record over its first weekend after launch. Analysts estimated PC sales at 2 million or above, which is just what the game needed to break 10 million overall. Capcom has been sharing semi-regular updates on the number of sales, with the most recent console tally, revealed in May, at over 8 million units. Today, the publisher has announced that Monster Hunter World has exceeded 10 million sales worldwide. This figure includes shipped copies as well as digital sales. The Monster Hunter series now stands at over 50 million units sold. Monster Hunter World is not only the biggest in the series, it’s also Capcom’s best-selling game ever. In the seven months since its release, Monster Hunter World has been breaking records everywhere, and continues to sell on PS4, and Xbox One. For a comprehensive list of tips, recommendations and explanations see our massive Monster Hunter World guide.